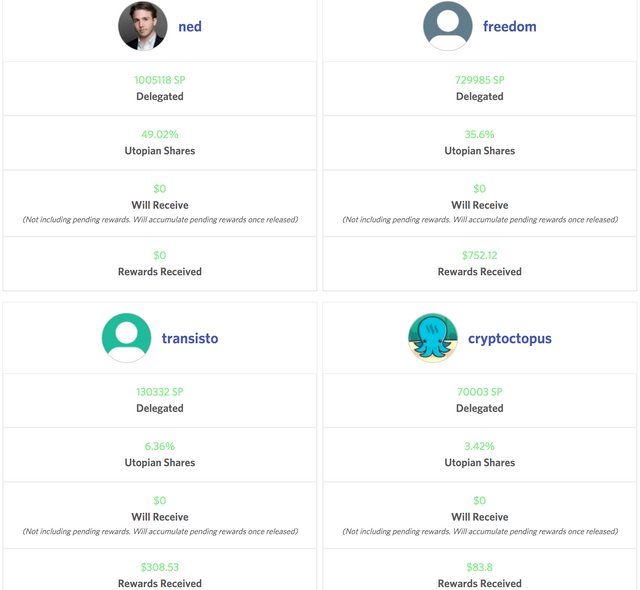 Utopian: Ned Has Just Delegated 1 MILLION to Utopian - We Have 2M Steem Power NOW! Commitment pays off! Utopian.io has just got 1 MILLION Steem Power Delegation from @ned, bringing Utopian.io over 2M Steem Power! These guys make 90% of the power delegated to Utopian. Well you know, you deserve it! Is Utopian for blockchain programs only? My son is a programmer and currently uses GitHub to store his projects. Can he use Utopian instead or is it primarily for blockchain stuff? As far as I understand Utopian supports any open source software project. I for example did a translation of a Android app called DictionaryForMIDs trough Crowdin & got rewarded by Utopian for that, its not blockchain related at all. Yes, he can.I think you got it wrong. Refer to your son, you might understand it quick. Why do I need to provide my active key? Isn't posting key enough? I was waiting for Ned to put his delegations to a better use case after he removed most of the old delegations he had placed recently... and behold, just a few days after Steemfest we get these awesome news! As a utopian-io crowdin contributer myself I'm very exited to read about this. 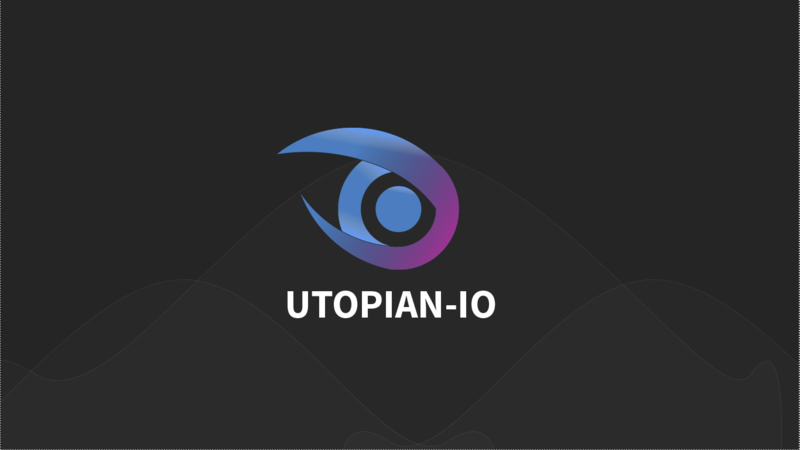 Congrats @elear on Utopian's quick success, development & delegation. I wish you and the project all the best going forward, keep up the good work! No way, you're KiΩhm on Soundcloud! I listened to your tracks before! I was wondering, do you use Elektron gear like the Rytm, A4 or Octatrack or is it DAW-only? Hey there @scipio , thats right I am indeed the artist KiΩhm ! At the moment my production is mostly based on DAW-only as well as a Zoom H4n recorder for recording my own samples. I also have borrowed a few different synths from fellow producers in Oslo, but I must admit I work a lot faster in a digital workflow. I'm into DAW producing myself too, almost the same genre (yet just a beginner at it, no uploaded Soundcloud tracks yet!). But I am keen on using the new MKii line of Elektron (AR mkii, A4 mkii, Digitakt (or a new sampler to be added on the new "desktop form factor) and use those together with OverBridge as a hardsynth / soft synth blend. Which got me thinking... what if... there was a Steem powered SoundCloud killer-app :P Wooooowwww! The music industry might actually like that as well! like @prc 's dsound project you mean? WOAHHHHH! I'm just a steemian for 12 days, I did not know this! Utterly cool! It's still a bit buggy, but the potential is huge! I'm hoping @prc will open source the project trough Utopian so the Steem community can help get the platform where it needs to go. It seems like a good direction blending hard & soft synth like that! The best tip I can give to people just starting out producing this genre is to learn to know 1 synth properly, in the long run the understanding gained from learning every function of one single synth is gonna be extremely rewarding. Way to many people start out with downloading 100 different soft synths and VST's, stay away from it. I recommend Syntorial as a good starting place to learn Synthesis if you are new to some of the functions in synth's. It really helped me out a lot back in the beginning. "Syntorial is video game-like training software, that will teach you how to program synth patches by ear." I will definitely check that out! PS: I like the Elektron gear especially because they're so "hands-on". Via OverBridge (well, what it could become anyway!) you get very good visual and auditive feedback, also nice to learn with (it's fast!). Wow, this is incredible! I can only imagine what will become of this project with such huge sources backing it. Good luck and will keep an eye out from now on for what is to come in the future! GREAT! GREAT! GREAT! another rock breaking news, @elear. you truly love making people excited.... :) ;) can't really imagine what utopian's future achievements..
wow. that is can dreaming in water. This is amazing! Such a huge boost to Utopian. Way to go! Congrats @elear for builiding such a nice application. Congratulation. I liked & resteem this post. This is really great. way to go. You've posted a lot of beautiful ones. Please upvote and comment in my post. And I will replay my comment. Congrats buddy! Great news for all of us! It is great to hear of this good news. Indeed commitment pays off. You are a path finder. Congratulations to you and all of us who believe in utopian-io and have been working round the clock to make worthy contributions towards betterment of platforms we so dearly love. That's great. People have been questioning Ned about why he needs so much Steem. I hope to see him and other whales support worthy projects. congrats. i can't think of a better project getting the attention it deserves. it was great to meet you at steemfest, we talked briefly at the hackathon. Congrats @elear and team. Awesome. Now we are really unstoppable.....no time to sleep. Brace yourself, an army of developers is coming your way. That's awesome, love watching this project! Commitment pays off. Congratulations on the delegation. This is so exciting! Congratulations on the big delegation, you deserve it. Utopia is one of the most exciting projects I've seen on steem, ever. It's almost feeling like Steem was created so that utopian.io could be born! And this is just the beginning... that`s the more exciting part. Congratulations @elear, this post is the second most rewarded post (based on pending payouts) in the last 12 hours written by a Superuser account holder (accounts that hold between 1 and 10 Mega Vests). The total number of posts by Superuser account holders during this period was 975 and the total pending payments to posts in this category was $4472.65. To see the full list of highest paid posts across all accounts categories, click here. Congrats @elear! and thanks Ned!